A good knife is one of the most basic things you need in your kitchen which you will be using to cut slices of both cooked and uncooked meat. 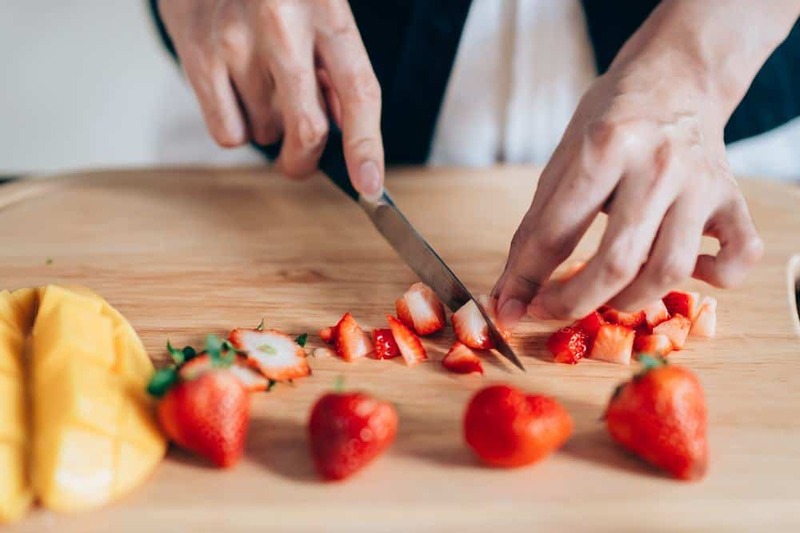 While there are a lot of different knives you can use, finding the best slicing knife will give you the edge to improved food quality even if you don't have the inclination to get a whole set of knives. Learn more about slicing knives and find out the best slicing knives for you to choose from in the article below. 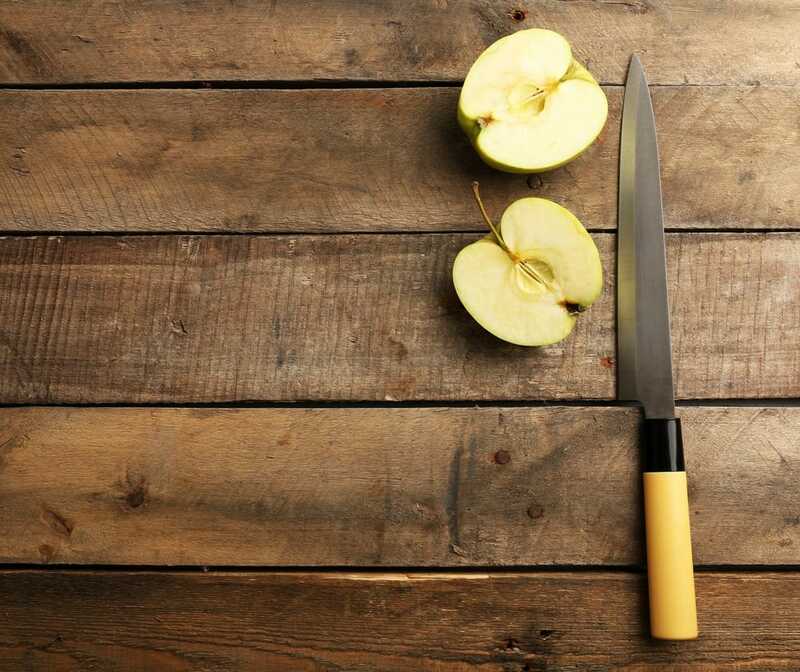 What Is A Slicing Knife? A slicing knife is used to cut both cooked and uncooked meat, vegetables, and fruits. The blade typically ranges from anywhere between eight inches up to 12 inches, though there are manufacturers who do divert from this standard. The thickness of the blade also varies per manufacturer. Some make very thin blades allowing it to be more flexible and yield, which can be perfect for very fine cuts, while some make thicker blades which result to a rigid blade. A rigid blade is perfect for chopping and for cutting tough meats. Since slicing knives have been used for the longest time, innovative improvements and developments haven't left this tool alone. 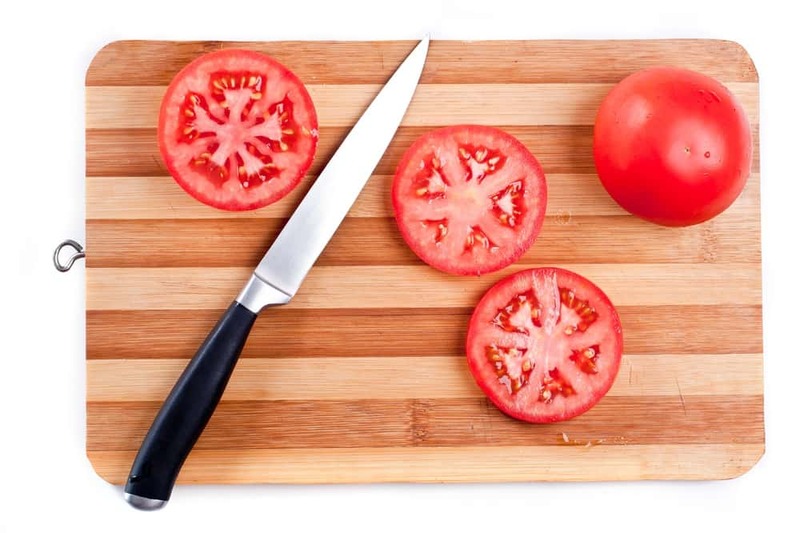 While slicing knives were originally made with many different alloys, it has moved from stainless steel to ceramic, and electronically powered ones. The demand of the market diversifies when it comes to slicing knives so while many have embraced the newer models, many still veers towards the improved traditional ones. 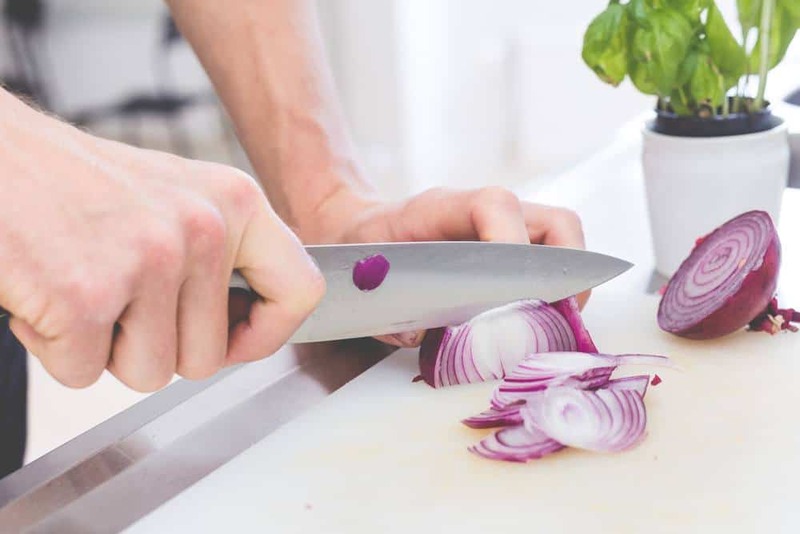 While there are many knives these days that are both easy to clean and are dishwasher safe, and despite the lifetime warranty that can be included in your purchase, there are still plenty of ways for you to maintain your knife properly for a prolonged lifespan. Even if the quality is the best among the best, using it for tasks and materials that it is not intended for can chip the blade, peel off coating which serves primarily as protection for the blade, or better yet, ruin the handle even though the blade is still good. Finding a good replacement handle can prove to be a challenge. Also note that while some knives are labeled dishwasher safe, putting it in the dishwasher can still cause unnecessary aggravation to the blade. It is best to hand wash all types of knives and dry it immediately for longer and better performance. You would definitely want a slicing made of superb quality. It should be resistant to rusting, corrosions and discolorations. Also, you would want a knife that can retain its sharpness. While it is possible to sharpen knives, the sharpening process can thin your blades overtime. There are steels nowadays that are able to retain sharpness for a long period of time. Not only is this very convenient, but will also give your knives a longer life. Having a knife with a great handle can ensure your comfort, speed and accuracy. There are times when you will have to use these knives for inordinate amounts of slicing and you will want to make sure that the knife you get is not going to cause you blisters or slip off from your grip causing you or someone else in your household accidentally getting cut. NSF is a public health and safety-based risk management solutions global provider. It's a deeply respected independent organization that has rigorously tested and certified knives that were able to meet their standard for safety, quality, and performance. In addition to aesthetic quality, an NSF certified can also put your mind at ease knowing that your knife is good for handling food. You definitely want your knives to have surface coatings that can leak harmful chemicals to your food. One of the things that can assure you of the quality of your knife is the warranty. A manufacturer who is willing to include warrantee and money back guarantee are willing to stand by the quality of their products. This can be a double-edged sword though since it is also marketing strategy that can be quite misleading. While all reputable brands started as an unknown entity, we would highly recommend going for trusted brands that are already well known in the market. Unless you are an expert on knives, trying to judge a new brand and gauging its quality for yourself can be very daunting. Go for young brands once you're comfortable assessing knives on your own, but start off with the reputable ones for now. OXO Good Grips Professional Cutlery is definitely something you would also enjoy having. It features a perfect balance between professional quality cutting and excellent cutting experience with its soft gripping handle designed primarily for comfort. The blade is made of a sharp, stainless steel that was hardened for strength. It was also full-tanged to make it more durable and to ensure a better balance. Although the handles are padded softly to cushion your hands, it is non-slip providing you better traction allowing you to have a firmer grip on the knife. Victorinox is renowned for Swiss knives and raises expectations pertaining to quality. Personally, the fact that Victorinox makes this knife made me feel very optimistic about using it even before my actual purchase. This Mercer knife features an ergonomic handle made from a combination of Santoprene for comfort and polypropylene for durability. Its finger points are textured, providing resistance to slipping with better grip, while also having a protective finger guard to prevent you from cutting your fingers. It is made from excellent quality Japanese steel offering an easy edge maintenance and rapid sharpening for a razor-sharp edge. The TUO RING series is a set of premium culinary tools that feels at home in any kitchen with its elegant traditional appearance and powerful modern function. TUO offers a superb combination of heirloom quality and state-of-the-art production. Ergonomic, long-lasting cylinder shape makes it ideal for long term use and no-slip handle enables you to avoid band fatigue and accidents. Sandalwood handle also makes it timeless and elegant visual appeal. Our winner for this review is the Victorinox 12-Inch Granton Edge Slicing Knife with Fibrox Handle. It can sustain sharpness over a long period of time, is made of high quality steel, covered by a lifetime warranty and has an awesome handle. It has all the qualities we are looking for in a great knife and while it is pricier than some of the other knives reviewed, we find that for the fine qualities you will be getting, it is definitely worth it. Let us know what you think and share this article with your friends if you have found it useful. Keep checking with us for more reviews. We would also love to hear about products you have absolutely loved that you would also like to share with fellow readers out there. Happy reading!